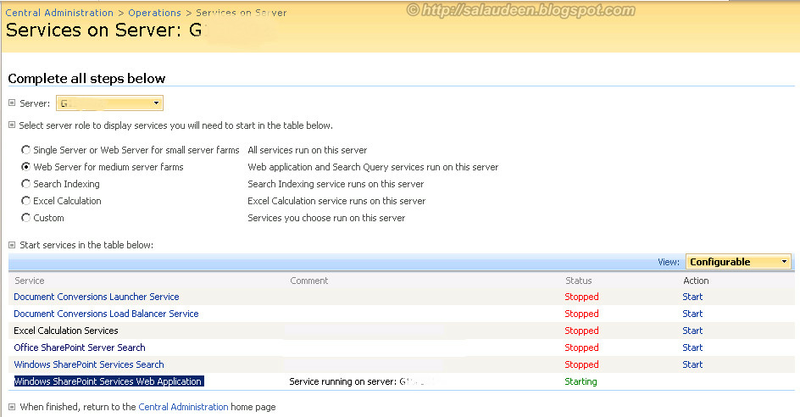 I had this trouble after applying Service pack 3 on an existing MOSS 2007 environment: Windows SharePoint Services Web Application stuck at "Starting" status and yet it never starts! Please note: Stopping the Windows SharePoint Services Web Application will remove the virtual directories in IIS, reverts the web.config changes, etc. So, we have to apply the customizations once it started again.